An increasing number of businesses are incorporating eCommerce platforms into their websites. The reasons vary, but for a majority of them, the lure of increased profits, larger sales and more customers is hard to resist. On top of that you can have your business up an running in a matter of hours. 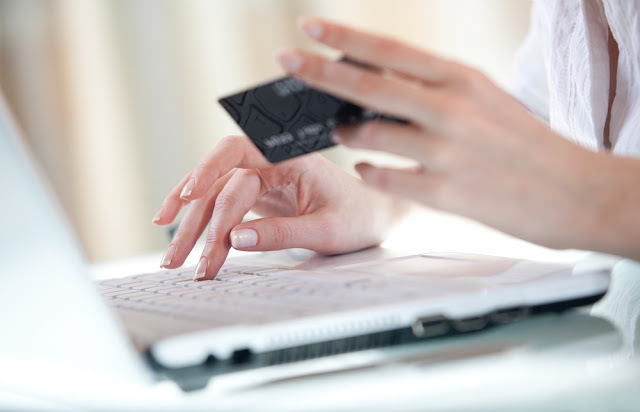 Studies show that online retail sales are expected to reach around $370 billion by 2017. With those types of figures, here are five reasons why eCommerce is critical to your business. Since the Internet has no limits, in terms of international reach, your eCommerce site has the ability to attract an entirely new audience. This was unheard of only two decades ago. In addition, you don't have to be a large organization to have shoppers from all over the internet. This is certainly a lot quicker than receiving orders via email or phone. In fact, when you upgrade to an eCommerce plan, SimpleSite will give you a customized e-mail alias to go with your unique domain name. All you need to do is make sure they receive their items on time. With an eCommerce platform, you can save on hiring and staff maintenance costs, as well as utility bills. The reason is you don't need to hire anyone to handle payments or take customers on a tour. You don't need anyone to manage inventory, billing or even accounts receivable. You don't need to worry about energy expenses. Moreover, you don't have to pay rent for a physical location. Once you set up your eCommerce platform, all you have to do is let your customers find their way around. Your visitors can't break any of your items before purchasing either. Many customers enjoy the ease that comes with shopping online. Around 50 percent of millennials often search for products online and around two-thirds of Americans, over the age of 50, make their purchases from online retailers. When you have an eCommerce site, you make it much easier for people to find your business. Having a physical location often limits you to setting specific store hours. If you can afford to hire help all day and night, you may be able to open 24 hours a day. Yet, there can be heightened security risks for keeping a store open late in the evening. This is not the case with an eCommerce solution. You don't have to worry about paying an excessive power bill for keeping the lights on. It also goes back to reaching a global audience. People across the world live in different time zones. They may want to shop while you're sleeping. The good news is, they can. Your business can become fully automated with transactions processed instantly. In order for people to discover your online business, you need to be highly ranked on search engines. The practice of getting your business noticed by search engines is called search engine optimization, SEO. Having an eCommerce platform makes your site more search-friendly for prospects looking for your particular line of products. When you have more traffic, you eventually have more customers. All businesses can benefit from an eCommerce site. There isn't any question that it is easy to set up with immediate results. Whether you want to gain more customers or increase profits, eCommerce is the way to go. Consider the SimpleSite website builder that includes free hosting for your company blog. Click here to start your Online Store!